Diesel Boat Sign. Various colours available. The sign may be stuck or screwed for fixing, and are available with a screw hole in each side if required. 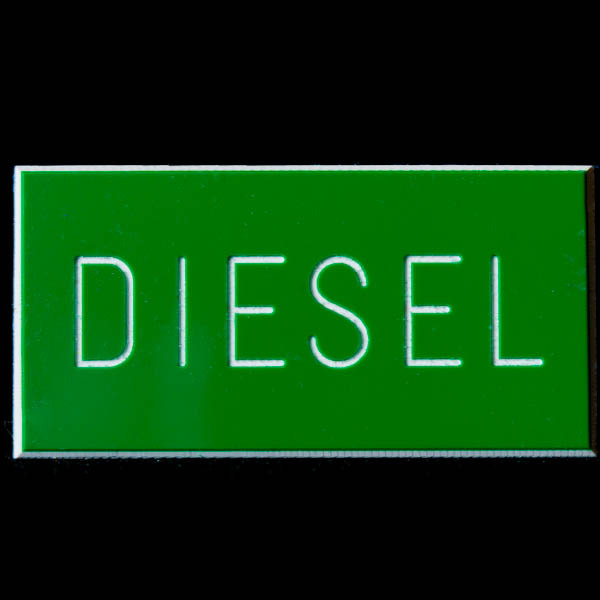 This standard diesel boat sign qualifies for free postage, if bought on its own or with other boat signs withe free postage. Fire Extinguisher Inside Sign. Various colours available.